This custom leather knife roll was handmade from start to finish. 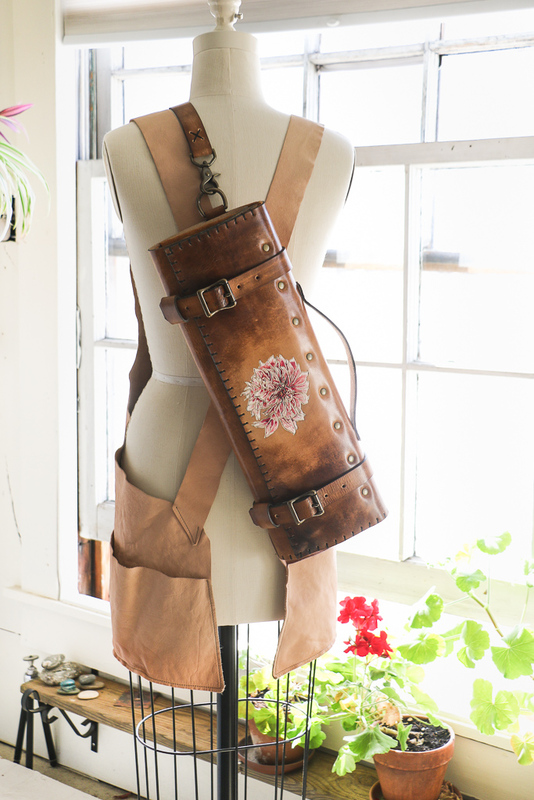 The dahlia is tooled and painted onto the front exterior of the knife roll. All hardware on this custom leather knife roll is solid brass. The outer leather is natural eco-friendly vegetable-tanned and the interior leather is cut from a sturdy chap suede. The entire chef’s knife roll is hand-stitched. All stains and paints are eco-friendly.